Hair loss is frustrating, but it is reversible with a proper hair care routine. Using natural hair care products can help reduce the signs of hair loss and treat it completely. 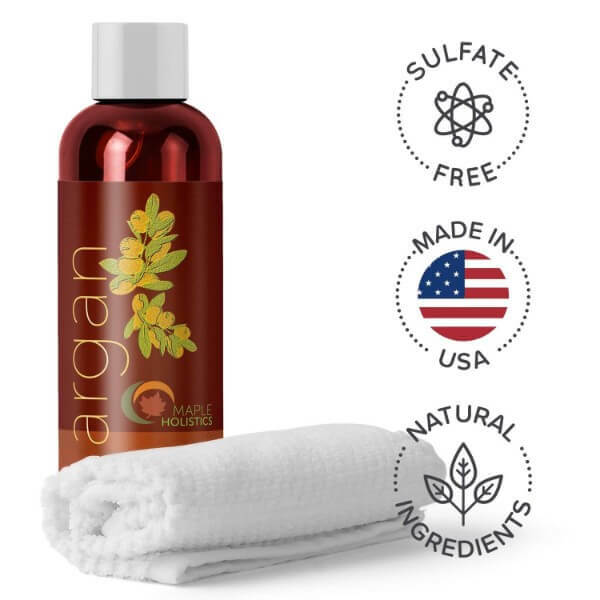 Maple Holistics introduces Argan Oil Shampoo known for its great nourishing properties for hair and scalp. 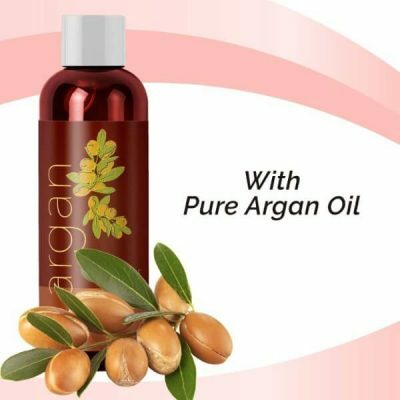 Argan oil is said to be the secret of Hollywood stars and models like Adriana Lima. It has great anti-aging properties for skin. However, argan oil is more commonly used for hair care routine. Argan oil is rich in essential fatty acids, vitamins, and antioxidants. These substances help reduce damage to hair and scalp. They provide nourishment as well in order to stimulate the scalp for healthy hair growth. Maple Holistics Argan Oil Shampoo has therapeutic effects that help reverse hair loss. This shampoo contains argan oil, avocado oil, jojoba oil, and peach kernel oil. These oils have beneficial properties for hair and scalp. They help nourish and strengthen hair to reduce damage and breakage. 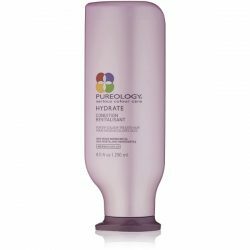 This shampoo has argan keratin hair treatment, which makes individual hair strands more resilient against damage. It provides vitamins A, B1, B2, D, and E to hair. These vitamins stimulate follicles for hair growth. This shampoo repairs hair damage and heals scalp to prevent hair loss. It contains silk protein and phytokeratin as well, which are ingredients that can strengthen hair strands. These natural ingredients fight hair loss while improving hair appearance. 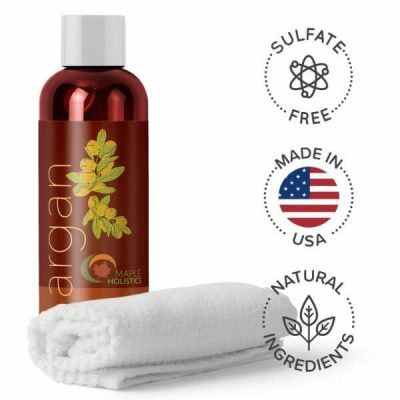 Maple Holistics Argan Oil Shampoo makes hair stronger, shinier, and more beautiful. Use the shampoo to keep hair and scalp healthy while preventing hair issues from happening. 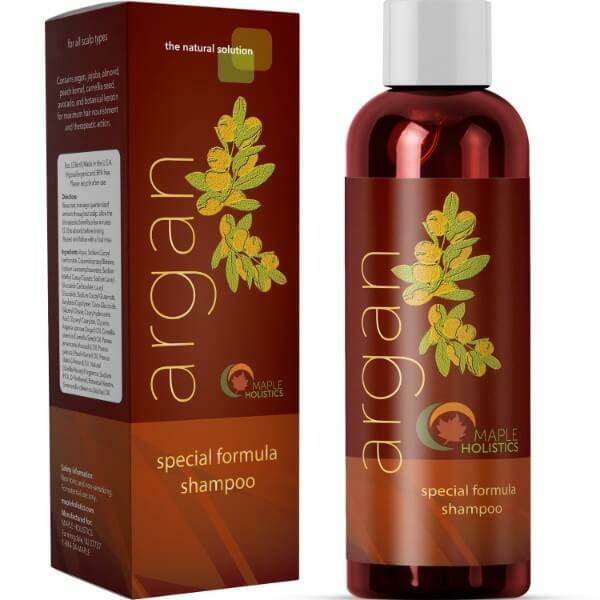 No more hair loss, dandruff, and dryness with argan oil shampoo. 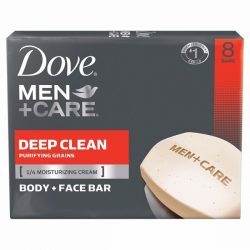 This formula is free of paraben and other harsh chemicals. It is cruelty-free as well. Keep hair thick and lustrous with this natural shampoo. Wet hair and scalp thoroughly. Put a dime-sized amount of shampoo to palms and apply on hair. Lather and massage on scalp for a minute. Leave it on for 2-4 minutes to allow the nutrients to absorb through hair and scalp. Rinse using lukewarm water. Aqua, Sodium Cocoyl Isethionate, Cocamidopropyl Betaine, Sodium Lauroamphoacetate, Sodium Methyl Cocoyl Taurate, Sodium Lauryl Glucoside Carboxylate, Lauryl Glucoside, Sodium Cocoyl Glutamate, Acrylates Copolymer, Coco-Glucoside, Glyceryl Oleate, Caprylhydroxamic Acid, Glyceryl Caprylate, Glycerin, Sodium PCA, D-Panthenol, Argania spinosa (Argan) Oil, Botanical Keratin, Prunus persica (Peach Kernel) Oil, Prunus dulcis (Almond) Oil, Simmondia chinensis (Jojoba) Oil, Camellia sinensis (Camellia Seed) Oil, Natural (Vanilla/Honey) Fragrance, Persea americana (Avocado) Oil.